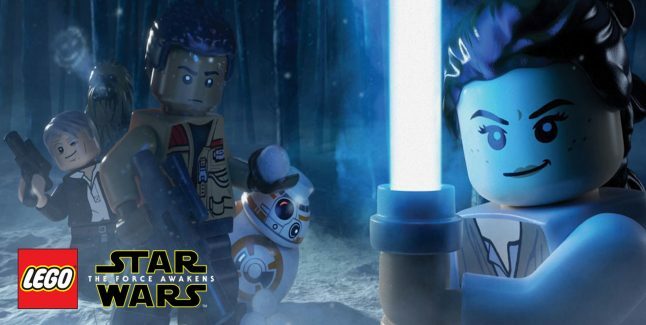 The Lego Star Wars: The Force Awakens achievements guide lists every achievement for this Xbox One, Xbox 360 & PC action-adventure game and tells you how to get and unlock them all. In the Lego Star Wars: The Force Awakens achievement guide we’ll show there are 49 Achievements (0 Secret Achievements) with a total of 1,000 Gamerscore points to earn in the Xbox 360, Xbox One and PC versions. Note: During the “Prologue: The Battle of Endor” first story chapter, you’ll be introduced to the new Blaster Battles. Make sure you select Han Solo before you start doing this achievement. Tip: To find the 18 unlockable Red Bricks and buy all 25, check out our “Lego Star Wars: The Force Awakens Red Bricks Locations Guide“. The name’s a fun movie quote reference. You can access the Millennium Falcon like you would any open area HUB in the game. Then go to the character wheel* and set Unkar Plutt as player 1 to activate him in the game. *To bring up the character wheel: Hold the Triangle button on PlayStation / Y button on Xbox / X button on Nintendo. 40. Quick on the Draw (10G) — In a blaster battle, have Han Solo defeat a character who is preparing an attack. During Free Play go to the character wheel* and set FN-2199 as player 1 and Finn as player 2, then use one to kill the other with his Z6 Baton weapon that made “Nines” a fan-favorite Stormtrooper in the movie (aside from yelling “Traitor!” to Finn for leaving the First Order). During Free Play go to the character wheel* and set Darth Vader as player 1 and Kylo Ren (Hooded) as player 2, then use one to kill the other with his Lightsaber. Location: Go to Starkiller Base in Free Play, which is in Chapter 8: Starkiller Sabotage – Section C: Starkiller Shield Room. Like in the movie, you need to get so angry that you end up destroying all computer terminals in Starkiller Shield Room as Kylo Ren. Nobody else can destroy the good-for-nothing terminals for you to get this achievement, meaning that as soon as you get Stormtrooper access to the Starkiller Shield Room, you must destroy any terminal you see before another Stormtrooper accidentally shoots it first. The name’s a fun movie quote reference. You can access the Millennium Falcon like you would any open area HUB in the game. Then go to the character wheel* and set Han Solo (Classic) as player 1 and Chewbacca as player 2 to activate them. Special thanks to Disney, Trophygamers, HarryNinetyFour, SwaggersGaming, Jay Shockblast & Brian for the list, tips & guide videos. Please comment if you have any Lego Star Wars: The Force Awakens achievement unlock tips of your own. Kudos will be given. – Thanks for visiting!